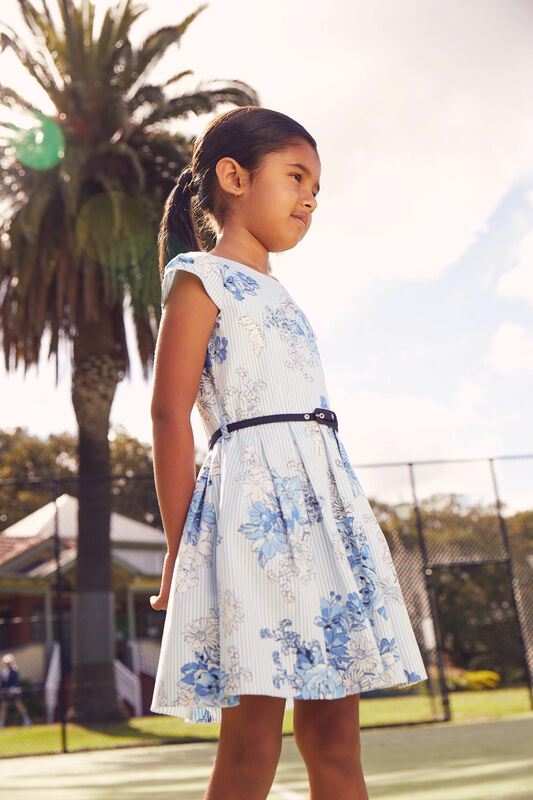 3-7 Girls Floral Pleat Dobby Dress https://www.review-australia.com/au/3-7-girls-floral-pleat-dobby-dress/RE19RK027.REBLU001.html With summer just around the corner the Floral Pleat Dobby Dress is the ultimate for fun in the sun! This cotton delight features the cutest cap sleeves and a pleated skirt. Blue pinstripes and pops of floral blooms take centre stage. Finished perfectly with contrasting navy piping, a navy belt and did we mention pockets? With summer just around the corner the Floral Pleat Dobby Dress is the ultimate for fun in the sun! This cotton delight features the cutest cap sleeves and a pleated skirt. Blue pinstripes and pops of floral blooms take centre stage. Finished perfectly with contrasting navy piping, a navy belt and did we mention pockets? 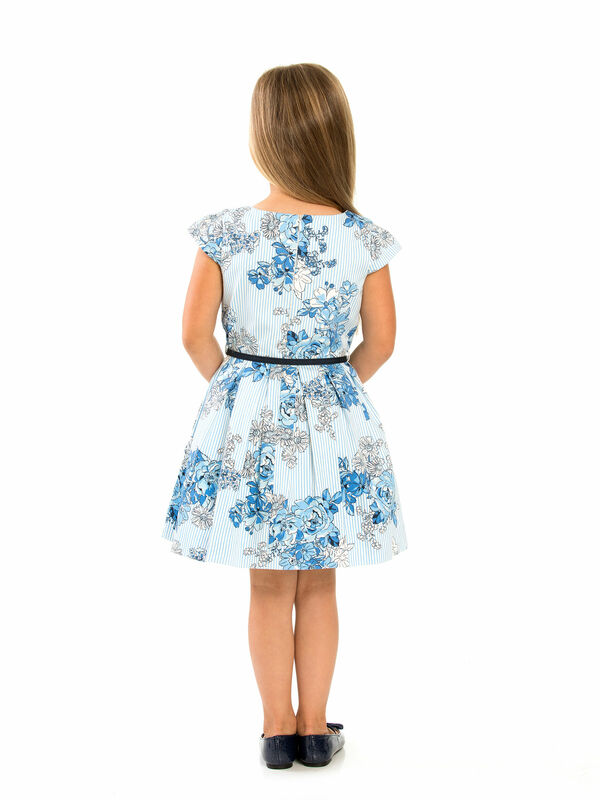 3-7 Girls Floral Pleat Dobby Dress is rated 4.5 out of 5 by 2. Rated 5 out of 5 by Radha Balan from Little madam I have always been into the 70s so I love buying dresses from Review. I was thrilled to discover that my toddler can now enjoy these dresses at an affordable price. I wish they had matching outfits for mum and bub! Rated 4 out of 5 by Littleloulou from Excellent quality The Quality is amazing, the lining is so soft and like all the best dresses, it has pockets!! !